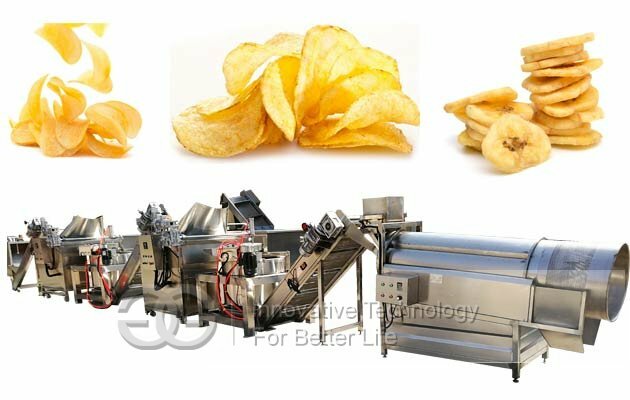 The complete potato chips production line/crisps manufacturing equipment is all made of 304 stainless steel, with features of low fuel consumption. 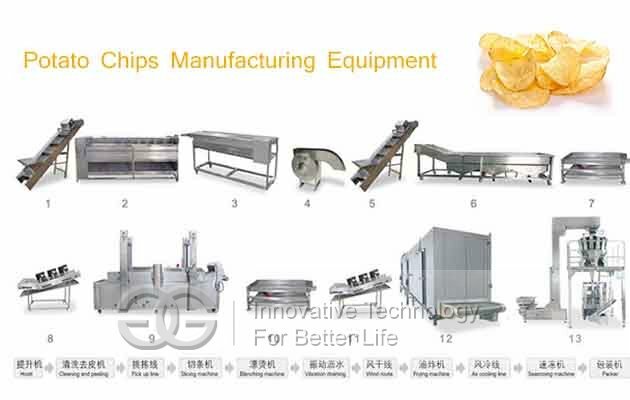 The complete potato chips production line/potato crisps manufacturing equipment is all made of 304 stainless steel. 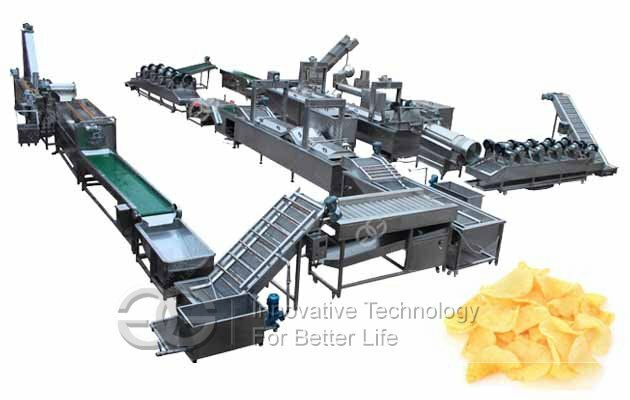 The same set of potato chips machinery can also be used to make plantain chips only chaging the peeling machine. 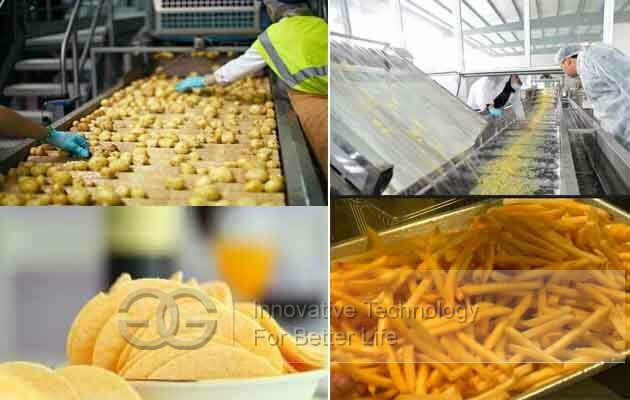 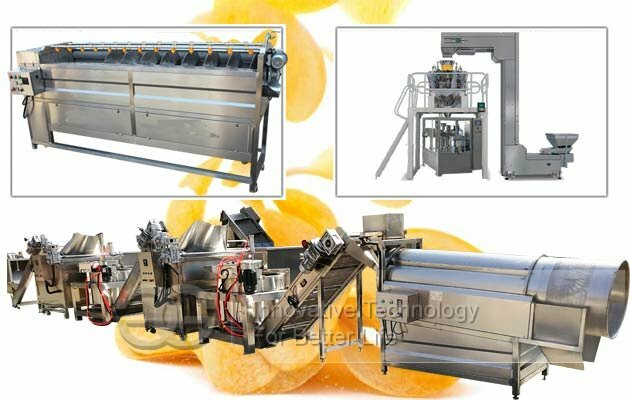 This potato chips making machine line can also be used to make french fries by changing the potato cutting machine. 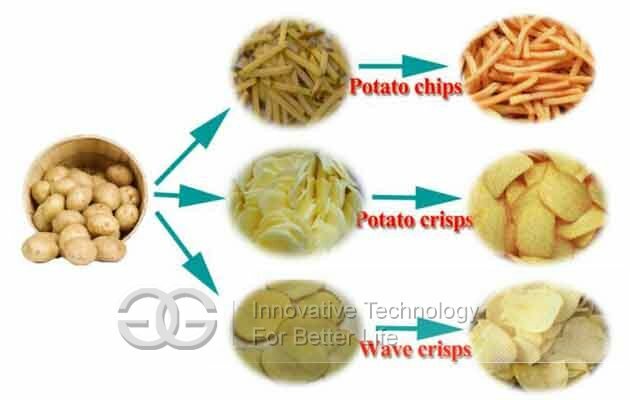 Potato chips keeps the special delicious flavor of roasted potato and has the characteristics of rich nutrition, delicious, convenient and so on, thus won the flavor of the consumers. 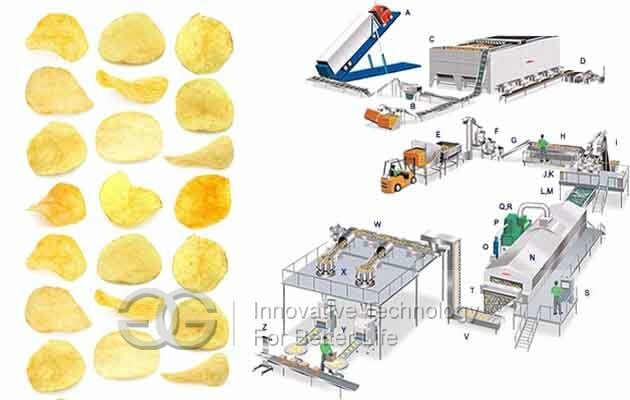 GELGOOG has a whole set of machines to produce the potato chips and crisps.